Divorce is never an easy process in any situation. Whether you were married for a short time or years with children and numerous assets involved, it is still a difficult time in your life. Unfortunately, in this day and age, divorce can end bitterly and it may seem like no resolution is near. 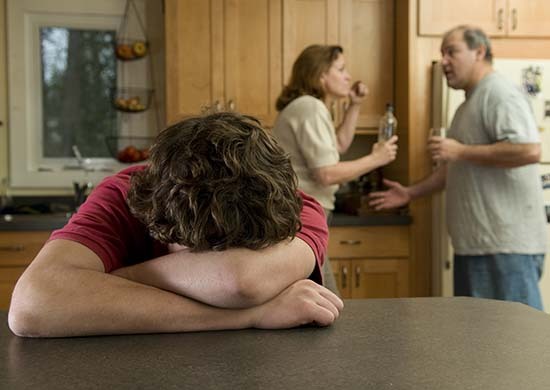 In the cases of family law, such as divorce, it is important that you hire a Northeast Philadelphia attorney who specializes in matters of divorce and child custody. It’s not an easy process but having legal representation will certain take some of the burdens off of you. When you decide to commit your life to someone, you expect it to be forever. You get married, buy a house, have a few children and settle down into your role of spouse and parent. Sometimes, outside circumstances can get in the way and cloud our judgment. Many times, a husband and wife can anchor together and get through obstacles that try to break down their union. Unfortunately, sometimes, nothing can make it work. When it involves children it is a hard process, but when two people can’t get along, it is in the best interest of those children to separate. Hiring a divorce lawyer should be your first step in going through the divorce process. There are many reasons why having an attorney by your side is much better than trying to do it alone. If children are involved, this can be the most sensitive subject of all. There are many ways to divide custody of your child (children). Your attorney can help you decide what makes the most sense for your child and your family. Sometimes one spouse handles the money and the other doesn’t even know what financial assets they have. You also may not be aware of any debts your spouse has incurred. Your attorney can help you collect records to see what you are entitled to and help you determine how to protect yourself from being held financially accountable for any of your spouse’s debt. If you and your spouse decide to split custody and/or assets, the judge will do it for you. However, you will need an attorney to make your case to the judge and represent your interests. Division of property is a must when getting divorced. You can eliminate a hearing in front of a judge but it is still advisable to have an attorney so they can help you come to an agreement that you can both live with. By communicating with your spouse through your attorney and their attorney, you are focusing on the legal aspects of the divorce and not the emotional drama that goes along with dissolving your marriage. Having a Northeast Philadelphia attorney in your corner during this difficult time can be the difference between having a peaceful divorce and one that causes chaos to you and your family. The team at Martins Mill Legal Center can help see you through this challenging time.